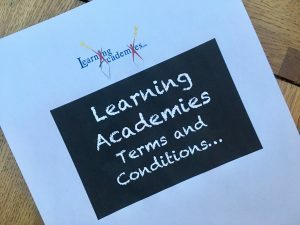 Where can I find a copy of your booking terms and conditions? When you complete your booking form online, giving your child’s key details, you will be prompted to a link that will take you to a complete copy of our booking terms and conditions. You will also be sent a copy of this in your confirmation email. For your ease, we include a copy of our terms and conditions below. Just click on the link and download. Please do not hesitate to give us a call if you have any questions in regards to these.